Recently, we asked our readers to submit their picks for our Best of Northwest guide, ranking their favorite hole in the walls and revealing the quadrant’s best-kept secrets. The Whole Foods bar combines the best of one-stop shopping with the necessary amount of alcohol to numb the pain of standing in that goddamn register line. The artfully-packaged drinks feature recycled bottles and designer labels, providing the perfect dose of aesthetic pleasure to distract from the painfully high price tags and mediocre taste. The ambience at Whole Foods reflects the nature of a true dive bar. Hundreds of people pressed together, pushing and shoving to get around a cramped bar haphazardly placed in the middle of a supermarket greatly enhances the drinking experience. As the weather gets warmer, farmers’ markets begin to pop up all over the city, including this phenomenally convenient market on 22nd and I streets. 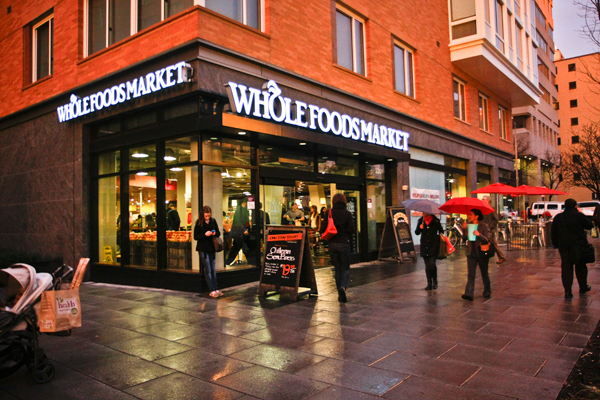 Whole Foods stocks its store with produce from the very best DMV locales. Support your local farmers/day laborers! D.C. moves fast, and sometimes you need an escape from the hustle and bustle of GW’s city campus. Our readers have unanimously chosen the produce section at Whole Foods as the best place to enjoy nature’s many miracles. Consider yourself lucky if you find yourself sitting by the window at Whole Foods. If you crane your neck just right, you might just get a glimpse of the constant construction going on across the street. Windows facing nearby Munson Hall provide a voyeuristic glimpse into the lives of college students, if you’re into that sort of thing. Have you heard of this organic market in Foggy Bottom? It’s called Whole Foods. This article appeared in the April 1, 2014 issue of the Hatchet.